Newsworthy :: Blogs :: How to get perfectly sized SEG prints, the first time. How to get perfectly sized SEG prints, the first time. Silicone edge graphics are leading the market in retail and exhibit displays, as well as many other applications. The rolled fabric prints can be quickly swapped out and are smaller, lighter, and easier to ship compared to rigid signage alternatives. 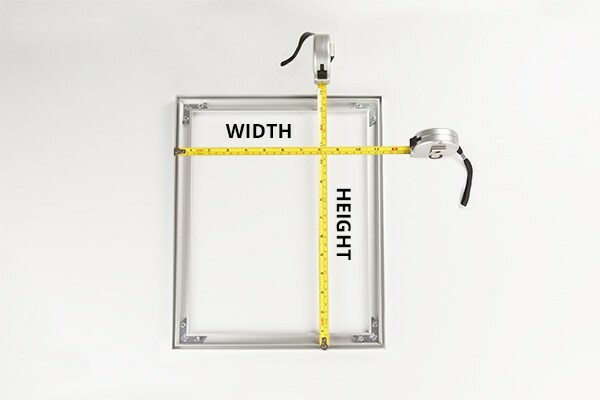 In order to get a snug fit the first time and avoid having to reprint a job, it is important to get the correct frame measurements when your customers place their order. Then, test your prints against the dimensions you were given with a system like the REXframe Fitting Wall to ensure you have a proper fit before shipping them out. The REXframe Fitting Wall is a system of SEG extrusions installed on a wall in your shop that allows you to test fit any sized fabric SEG print. Not only can you adjust the extrusions to custom sizes, but you can set up the wall to test multiple SEG prints at once for greater efficiency. Watch our video below to see how it works. Testing the fit of the graphics before shipping can greatly reduce the number of reprints needed over time. However, it is still important that the initial measurements provided are accurate. 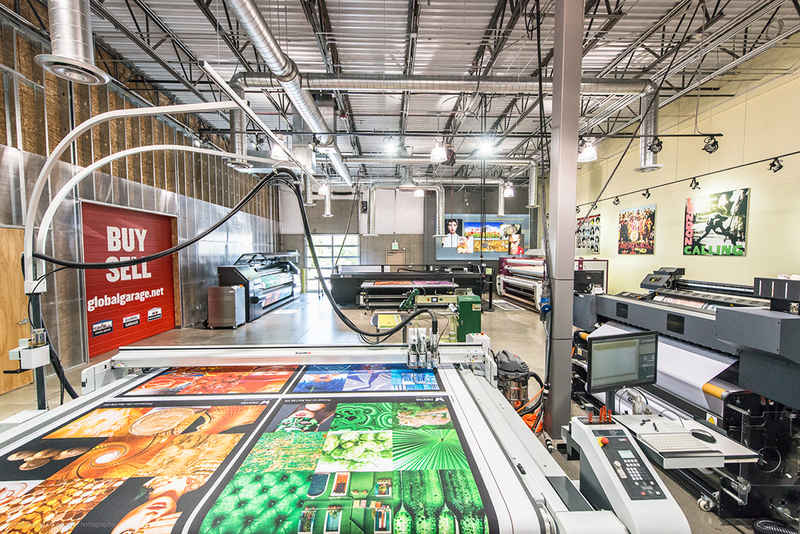 In order to obtain accurate SEG dimensions from their customers, print service provider 40 Visuals put together a simple guide on their website with easy to follow directions. To get started, your customers need a tape measure with inches and millimeters and a place to write down the measurements. The first step is to measure the outermost dimensions of the SEG frame, both width and height. 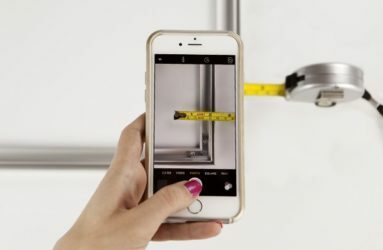 Making sure the tape measure is straight, or parallel to the edges, they should record the measurements in inches from the top to bottom and side to side. Next, they need to measure the frame channel, which is the groove around the perimeter of the frame, to determine the beading or gasket size they will need. The thickness of the groove, or outer channel, varies by frame manufacturer, which is why it’s important to get a new measurement with each order. Holding the measuring tape straight across a portion of the frame, your customers should record the width of the groove in millimeters. 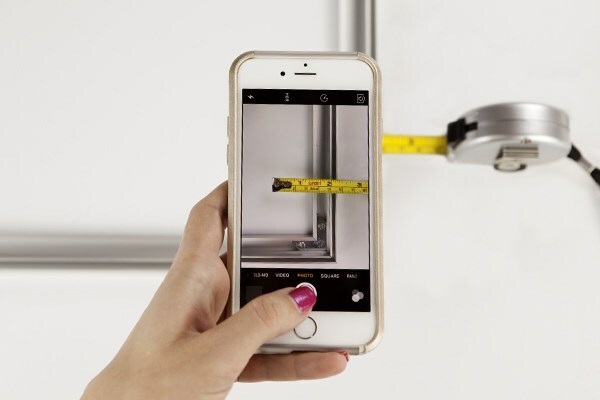 As an additional step to further reduce margins of error, 40 Visuals has their customers take a photograph of the measuring tape over the groove. This way they can proof the customer’s measurements themselves. Check out the 40 Visuals website for more inspiration on SEG production and to see how you can create a measuring guide for your customers.